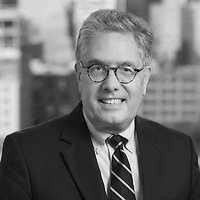 Tom Curry, a partner in Nutter’s Corporate and Transactions Departmentand co-leader of the firm’s Banking and Financial Services group, and Seth Berman, a partner and leader of Nutter’s Privacy and Data Security practice group, authored an article for Security Magazine that outlines preventative steps that community banks can take against cyberattacks. In the article, “How Community Banks Can Overcome Cybersecurity Paralysis,” Seth and Tom note, “It is important to point out that community banks are not the only banks at risk from cyberattack and are better prepared for cyberattacks than most other types of businesses. Federal agencies regularly evaluate all banks, including community banks, with a cybersecurity assessment tool as part of their IT examination programs. A similar level of oversight is applied to banks’ core processors.” They conclude by recommending that community banks participate in industry sponsored programs such as Sheltered Harbor.